Thank you for this article. It opens up the debate on how to solve ice dam problems. The comment by Brian B offers one solution that initially looks promising. However, great care should be taken when using Icynene to create an unvented hot roof. This can create warranty problems with the shingle manufacturer and moisture problems that can lead to mold issues. 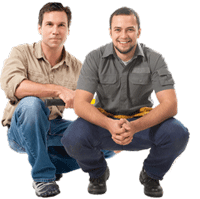 Also, in the event of a roof leak, it is difficult to detect and more difficult to repair. The use of icynene on the attic floor to completely air seal is a good idea and should be the first step. Your article seams to point to insulation and venting being the most important. Building science disagrees. Air sealing first, insulation second. Venting is a minor player in ice dam prevention but is necessary for heat and moisture management. There is no science to suggest that a flat roof with conventional soffit and ridge venting moves much air. For passive venting to work, you need a difference in temperature combined with a difference in height. An example of this is a chimney that doesn’t draft well – height is added. Low sloped roofs do not have enough difference in height to effectively ventilate. You also show a power vent which seems to suggest you are recommending this as an alternative venting solution to ice damming. Power venting in the winter without completely air sealing the attic will only pull moist, conditioned air into the attic and can create moisture problems from condensation. Your criticism of heat cables is unwarranted as well. How do you propose to solve the issues of temperatures fluctuating above and below freezing and the effects of solar gain on the roof. These are real problems especially with today’s complex architecture. The proper use of self regulating heat cables is a solution to this problem. Perhaps a little more research and a little less selling is warranted in your blog posting. This is a great article for me to bring to customer’s to help explain the ice dam issue. A lot of people insist on using cables to solve the problem. I have been more recently insisting on using Icynene insulation to solve the problem. It is an unvented roof, contrary to what all of you are talking about. It will air seal the attic, add insulation to current standards and prevent ice dams very effectively. The roof stays cold and the snow melts from the top down, not the bottom up. I plan on insulating my house this year with this system. I have a gambrel roof and my ice dams are terrible. Does anyone have any issues with the unvented system I am talking about? So far in the article and comments all that I have seen is to “insulate the attic and provide better attic ventilation”. Sorry roofers but that is not up to current technology. I am a bit surprised that none has brought up the more obvious and energy efficient solutions to these problems. First: Stop air infiltration from reaching the attic from the conditioned space to begin with. Second: Make sure that there is a contagious and uncompromised vapor barrier between the conditioned space and the attic. Third: Provide for non-blocked soffit ventilation. Fourth and finally once all of these have been done then add to the existing insulation and provide for effective exhaust ventilation. Adding to the attic insulation in a home with minimum standard insulation is only marginally effective in keeping the attic cooler (e.g. not being heated by the conditioned space below) thus minimizing the melting of the snow and creation of ice dams. If the warm moist air from the conditioned space has been blocked and is not infiltrating into the attic by sealing off plumbing vent stack, electrical wiring, fixtures and other penetrations of the conditioned space envelope a third of the battle is over. If there is an effective vapor barrier on the warm side of the ceiling the need to ventilate the attic is further reduced because the condensation of that moisture in the attic another third has been largely eliminated. At this point adding additional insulation will have its desired impact. The methods of doing all of this is well documented elsewhere. Thanks for your input. I will take a note of it and update the article as needed. I do want to say though that there are numerous houses with non standard design, that no matter how much insulation you stuff them with, it will not solve the ice dams. For example: Salt box / gambrel roof houses. These, unless designed with soffit / ridge ventilation, will never get vented, because most of them have closed air space where roof changes slope from steep to low. 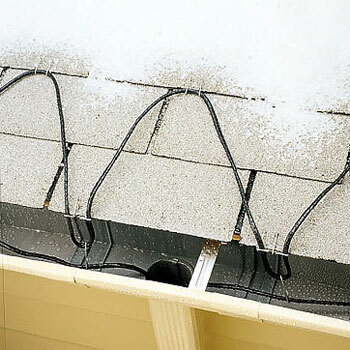 Most slat-box homes will have ice dams, and that is where you need actual elimination of leaks. Yes, eliminating heat loss is great, but in most cases is not enough, or cannot be accomplished. In these cases a metal roof of a membrane roof on the low slope is almost a must. Often, even ice belts do not help. Example here. Another example, is the second image in this article, where you see ice belt at the bottom of the low section, but ice dams and leaks came in, where roof changes slope to steep. Idea is the same as with salt boxes (blocked ventilation at the pitch change, and actually complete lace of ventilation at eaves and the ridge. That roof only had gable vents, which did not do the job. The owner did as much insulation work as he could, but the 150 yrs. old house design did not allow for much. The only way we could solve those leaks was by installing a PVC membrane (yes, other types would also work – but we install PVC). Examples of low slope roofs, waterproofed with PVC membrane or Metal roofs here. I loved this article, & have been telling people this for years. I built a home in 1994, & used Continuous soffit & Ridge vents. I did put gable vents on the house, but they were just for looks. Last week a roofer called me about a house that he roofed, & it had Ice on under side of roof deck, & as it melted, it was leaking into the house. I told him, he does not have enough insulation first. Ventilation second. As warm air is hitting the cold surface of the roof deck, it’s condensing & freezing there. When I saw this article today in my e-mail, I forwarded it to the roofer, & will meet with the homeowner tomorrow. Heat from the sun warms the air within the attic, which becomes less dense as it heats up, and, therefore, rises toward the peak of the attic. As the warm air rises, it creates negative pressure at the cooler bottom of the attic, which, through the soffit vents, introduces cooler air into the attic to make up the air volume. As the warmer air at the peak reaches the ridge vent, it dumps to the exterior, creating negative air pressure behind itself, which is filled by the rising, warming air coming in at the soffits. In other words, there is a convective air loop, with a steady stream of cooler air coming in at the soffits to replace the warmer air which is being exhausted at the ridge. Hear’s where this gets interesting: Wind blowing horizontally along the ground is blocked when it hits the side walls of the house, so the wind, being fluid, changes direction to go around the obstruction. That portion of the wind which goes up the walls and then flows up and over the roof acts just like the air flowing over the top of an airplane’s wing: it flows faster over the top than it does while going horizontally straight over the ground. This accelerated wind speed creates negative air pressure at the ridge, whoch increases the speed of the convective air loop between the cool air coming into the soffits, and the warmer air exhausting out of the ridge vent, thus accelerating the speed of that convective loop and promoting better venting within the attic. Low-slope roofs demand careful detailing and good workmanship. You can hire a roofing contractor to get rid of your ice dams like Roofers In Fife. Pingback: Avoid Rubber Roofing (EPDM) for your house. 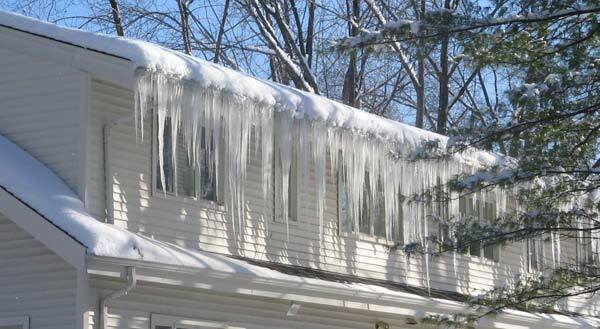 Ice dams can definitely cause external damage to the roof. Not only that the water can leak inside the house and cause water damage that could be weighted in thousands of dollars. Thank you for the videos also. Pingback: Ice Dam Prevention – how to stop Ice Dams roof leaks. Can someone contact me immediately through email. Pingback: Roof Types – Gable, Hip, Mansard & other types of roofs. I’m upstate NY where we get an average of 5′ of snow a year. I had a new asphalt shingle roof installed about 5 years ago with the rubber barrier and ridge vent. Last year we added a sun room of the back of the house (we have a ranch style house) where the roof meets from the house to the sun room (on both sides) I get ice dams. Stats in the gutters and works back, I have blown insulation in the attic. Any suggestions? If you live in the north you are going to get ice dams. The first thing to do when you have an ice dam is to open a channel in the ice to drain away the water and stop leaks into the house. 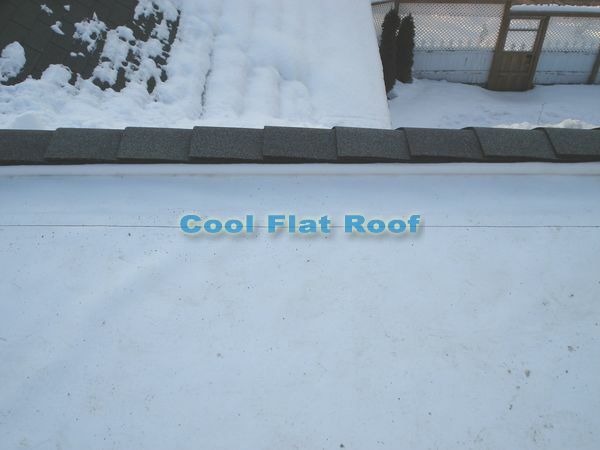 A refillable snow melt sock or ice melt sock thrown on the roof and pulled into place will open a channel in minutes. If you want to “advertise” your company, please do not post spam-like comments with your website. The comments are for people to post genuine feedback / questions / suggestions or to disagree. We have a construction directory where you can list you company in appropriate category. Simply use our form to add URL to green building directory. 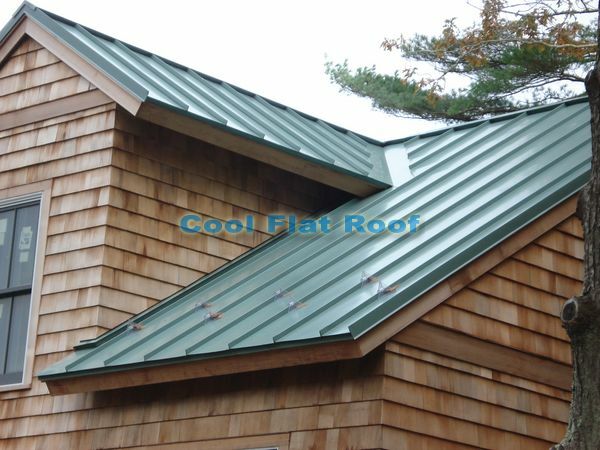 Pingback: Massachusetts Roofing – recent flat and metal roofs which we installed in MA. From my experience and from what I’ve read in the reliable/credible building construction sources, a Ridge / Soffit vent system should not be combined with any other type of ventilation, and those other vents (passive box / can vents in your case) violate the flow /circulation of warm air in the attic and air in some cases either just stays there “spinning” inside attic or very little circulation occurs or parts of the roof are not being vented. Basically, if you have enough intake through the soffits, and a decent ridge vent, your roof should be ventilated just fine without the need to use any static or power vents. 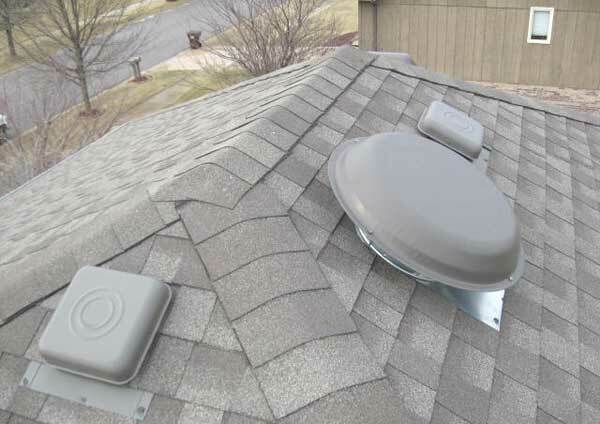 For ridge vent, I like the one that is corrugated plastic from Owens Corning and other brands as it does not obstruct the flow of air, where is a very “popular” Cobra from GAF allows less air to pass through. http://www.toolbase.org/Design-Construction-Guides/Roofs/ice-dams – General guide on Ice dam prevention and just a very good source of construction techniques and building product references. http://roofersreview.com/Ventilation – a very good source for various ventilation issues and solutions. http://www.roofing.com – Very good source for any roof-related questions. It is a forum with many knowledgeable and responsible roofing contractors, and I’m a frequent contributor there, under nic-name LAMetalRoof. In standard steep slope (4/12 or steeper) roofs I have ventilated the attic space in accordance with the IRC and have used soffit, ridge and roof can vents. Lately I’ve been advised that the best feature for the upper third of the roof is ridge venting. For roofs with large areas and where ridge venting can not supply the required free area I have used ridge vents and roof cans placed in the upper 1/3 of the roof. This method allows the soffit and upper 1/3 venting free area to be equal or balanced. However, I’ve been told that the use of ridge vent and roof cans is not recommended because the movement of air through the ridge vent will draw air through the roof cans and diminish the amount of air coming through the soffit venting. Please comment on the combined use of ridge and roof can vents. Good day, I was researching ice daming for work and as someone who has had the problem over the winter I found the info to be very informative. I have ann older minihome with flat roof, 1970 roof! I have had 3 contractors come look at it and all have recommended rubber roofing. None have mentioned how to prevent ice daming so this article was very informative. Thank you!